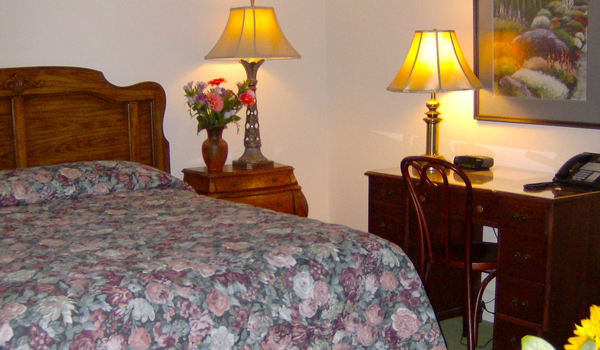 Twenty-five hotel rooms are available for use of Club members or their guests. Residents may also be sponsored by member departments when coming on official University of California business. There are eighteen single occupancy rooms (Deluxe Doubles), four Queens, two Junior Queen and two Twin suites. 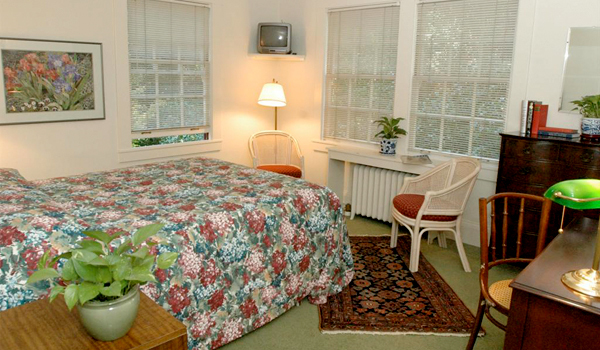 All rooms have private baths, telephones and views of the gardens. 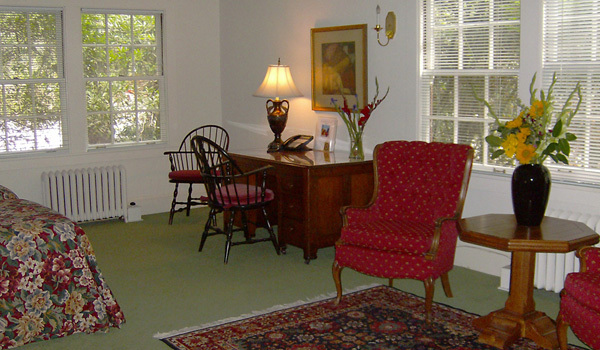 Membership dues of $3.75 per person per week are charged on all rooms. However, no city or hotel taxes are levied. 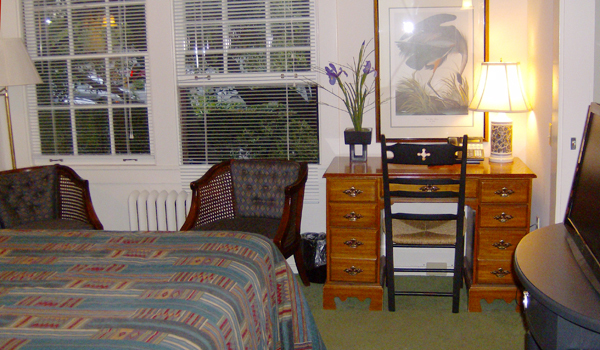 An additional person in a single occupancy room will be charged both additional dues and for continental breakfast. Payment to the Women’s Faculty Club can be made by personal cheques, cash, Visa, Mastercard, Discover or American Express. Rates subject to change. Current rates effective July 1, 2018.
Business hours: Monday through Friday 8:00 am to 4:00 pm. Office staffed 24 hours a day.